Home » Blog » GET OUT! Too often, we read about, and ourselves receive anecdotal evidence, that people with any degree of limitation stay at home, sometimes to the extent they say they feel trapped in their own home. And too often, the reason for the reluctance to venture out is worry about being able to find- and use- a suitable toilet. It is a genuine concern. We go to the loo on average eight times a day, so chances are, even if doing the weekly shop, we may need to ‘go’. Or we have a continence issue. It’s even more of a consideration if we want to spend any amount of time out. Don’t worry. You aren’t alone! It’s a concern affecting potentially up to 14million people (1), whether you need help or additional facilities, or your carer needs help to assist you. That doesn’t take into account your carer, who also needs to ‘go’, but can’t necessarily leave you whilst they ‘go’! Changing Places and Space to Change toilets aim at addressing the problem of accessing a toilet away from home by anyone who needs help. They deliver more space, and support equipment- particularly a hoist, adult-sized changing bench, and privacy screen. The British Standard BS8300:2018, which sets out ‘best practice’ for inclusion in building which the public access, has just been updated. 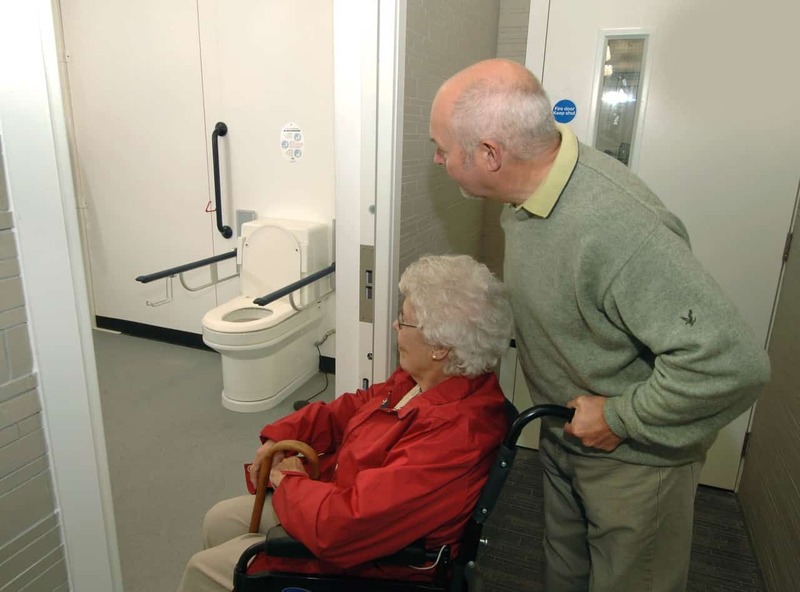 It now notes that in such facilities as a Changing Places, installing a wash & dry toilet in place of a conventional WC further enhances the user’s dignity and independence. We say it also extends the range of people who can use toilets away from home, and improves hygiene for everyone involved(2). So far, there are over 1000 Changing Places and Space to Change toilets across the country. You can find them in town centres, tourist attractions, museums, shopping centres and malls, leisure centres, motorway services, airports, train and bus stations. You can find them in many Wetherspoons pubs. Literally a handful of supermarkets have them. But as you can tell from the numbers, they are by no means everywhere. There is an online reference map (http://www.changing-places.org/find_a_toilet.aspx), and an ‘app’, that enable you to search by type of venue and location to determine where they are, and help you plan a trip out or journey, or find your nearest one when you have ventured out. There are also a number of specific social media accounts/pages for and by campaigners. Many venues do not even know about the facilities. So if you want one somewhere, use our support information, handout, or ask! It does work, as campaigners Sarah Brisdion, Tony Clough MBE and Rachel George, to cite just a few examples, have proved. Sometimes the venue ‘gets it’ immediately, and does its utmost to accommodate at least a Space to Change. Sometimes it takes more time and effort. 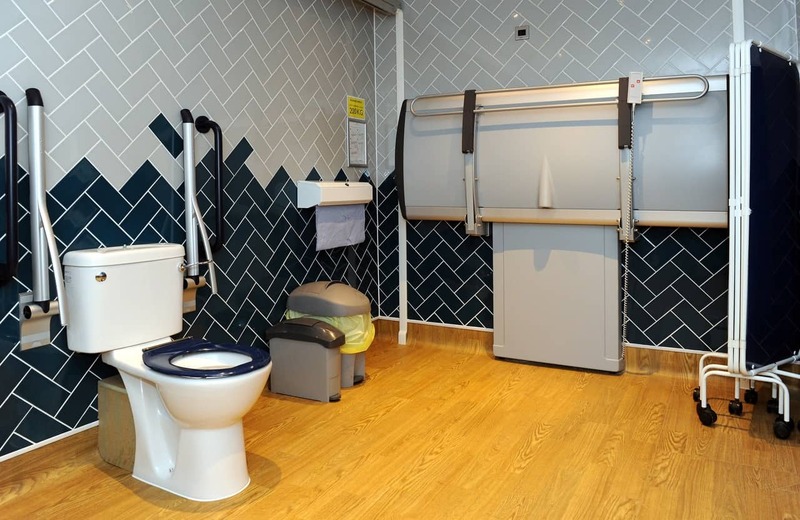 The effort is paying off, as seen by the new British Standard, and the Building Regulations that now state such toilets are ‘desirable’ in buildings to which the public have access. But even Building Regulations are not law. The more voices added to the campaign, the more likely the Government is to listen, and actually take action. But regardless, don’t be trapped just because of a worry about toilets. Check out, and get out (and about). (2) A wash and dry toilet (eg a Closomat) does exactly that. It can be used as a conventional WC. Integrated douching and drying mean the user is automatically washed & dried without the need to manually clean (or be cleaned) with toilet tissue.